For many would-be home buyers in Spain, health is the number one worry. Our advice is, it shouldn’t be! Healthcare in Spain is available for everyone, and if you’re too poor to pay you should get help with healthcare. These, then, are your essential need to knows. The Spanish healthcare system is a non-contributory system paid for by tax money. Each autonomous community has its own budget. Non-Spanish nationals will automatically have access to the health coverage once they become a resident, although EU citizens may be able to receive international coverage from their country of origin. Generally non-residents will use a scheme called the convenio especial. It’s important to remember that European Health Insurance Cards (EHIC) are for emergency care only, and should not be confused with a medical card. Am I entitled to free healthcare in Spain? staying temporarily in Spain and have an EHIC card (this used to be the old E111 card) – more information on the EHIC card below. That depends. If you have a job, your employer will register you for social security contributions. Your employer will deduct these from your monthly salary. You will need to get a social security number, however. To do this you must provide a copy of your passport or ID card, your NIE number, residency certificate and a completed application form. You will need to register your address at your local town hall (Padron) too. If you are self-employed, your accountant (or gestoria, if you have one) should register you for social security contributions. You will be responsible for paying these each month. Those eligible to register for social security who are neither employed nor self-employed must register in person with the Social Security Office. You don’t need to know the rather long title for this, it’s known as TGSS for short! You can do this at a local office in your area. If you are a dependent of a social security contributor and would like to be registered on their number, you need to provide proof such as a birth or marriage certificate. State pensioner sfrom the UK need to provide an S1 form. You get this from the Department of Works & Pensions in the UK, by calling 0191 218 1999. Once you have registered at the Social Security office, you will be given a card with your social security number and you will then need to register at your local health centre. Medical care in hospitals is excellent and A&E services are usually quick and thorough. If you need to see a specialist, you will be referred to the hospital by your GP. Local hospitals are well run, clean and efficient but rarely have extra facilities such as coffee shops or family rooms. Visiting times are longer than in the UK and there is often no limit to the number of people allowed to visit at one time, so it can become noisy. However, medical attention is generally very good and caring. All hospitals have outpatients departments. Nowadays many GPs and specialists speak English, but it is not advisable to assume they will. State medical care in Spain is available for all residents of the country. How do I get a local doctor? Before you can register at your local health centre, you will need to obtain a Padron, i.e. register your address. You need to do this at your local Town Hall. The documents required to get this are your NIE number, passport, residency card, a rental agreement or deeds to your property and a recent utility bill. Registering is usually free but there may be a small administrative charge. When you register with your local doctor you will need to take your padron, which must be less than three months old, your Social Security card, passport and NIE number. You can then apply for your health card (tarjeta sanitaria individual – TSI). You will need to show the health card every time you visit the doctors, hospital or collect a prescription from the chemist. Dental treatment is not covered by the Spanish state healthcare system and you are not required to register with a dentist in Spain. Can I still use my EHIC? Yes, the European Health Insurance Card (EHIC) will still get you basic free healthcare. If you have been issued with an EHIC card in the EU and you are in Spain on holiday or on a temporary visit and you are not yet resident in Spain, you can use this card to access state healthcare in Spain. However, there may be a reduced cost or fee to pay dependent on the medical condition. The EHIC card does not give you access to private clinics in Spain. It is not advisable to rely solely on the EHIC card as there have been cases where the card has been refused in some parts of Spain. You can source your own private medical insurance in Spain or you can use a Broker to source the medical insurance that is best suited to your needs. Always make sure that if you use the services of a broker, they are independent. Independent brokers will have access to a wide variety of insurers and will not be tied to one provider. 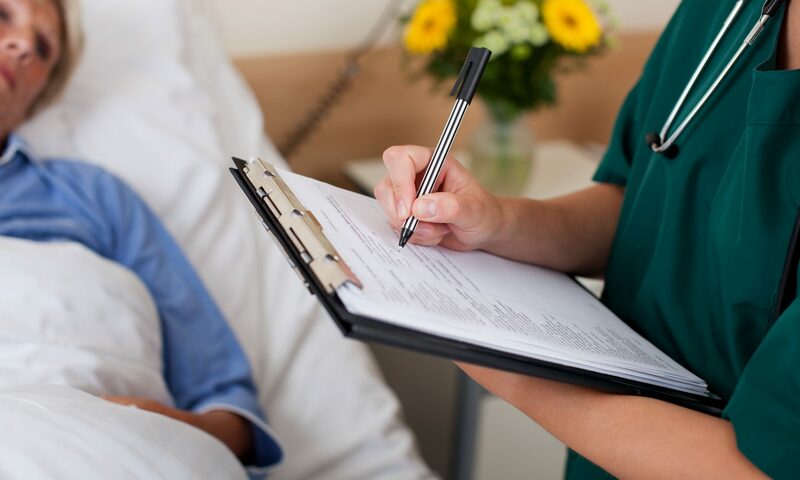 There are various levels of private healthcare from treatment in the home to access to a wide variety of clinics in Spain and when choosing private healthcare it is important to consider what you will be covered for, particularly if you suffer from pre-existing conditions. Dentists are always private in Spain and are usually of a very high quality. However, they will usually require a high payment that is not covered by your health insurance. Medication can only be purchased at a pharmacy (farmacías) but these will usually be found on every street. The amount you pay for your prescriptions depends on your income. Those who work and earn less than 18,000€ a year will pay 40% of the cost, between 18,000€ and 100,000€ will pay 50% & over 100,000€ will be 60%. Certain registered chemists can offer medical consultations and advice on treatments. For emergencies, dial 112, for ambulances 060. It is quite possible that the person who answers will speak some English, but don’t count on it. We can recommend a leading private healthcare insurer who is able to look after your health interests abroad.